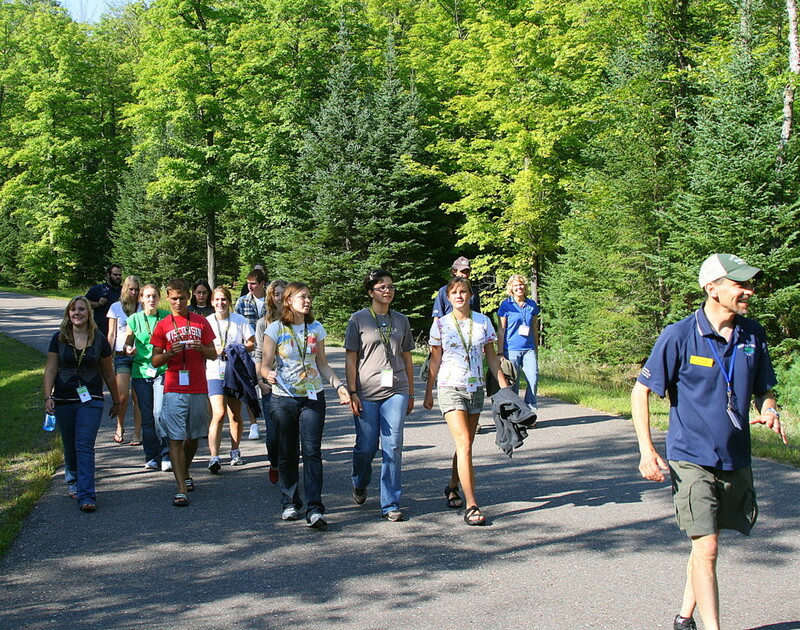 Conserve School’s 2010 Opening Weekend was about as close to a perfect Northwoods weekend as you could imagine, with the weather at its best for our first Conserve School semester students. After a week of heavy downpours and unseasonably cool weather, Saturday morning dawned bright and clear, and the temperatures stayed in the seventies all weekend, dipping into the sixties in the evenings — just right for quieting down the mosquitos before campfire activities. Our wildlife used their best manners for our new students this weekend, too, sometimes even appearing to take an interest in the activities. During the opening picnic at the Estate (the home of the school’s founder, James R. Lowenstine), a bald eagle watched over the festivities from a nearby tree. 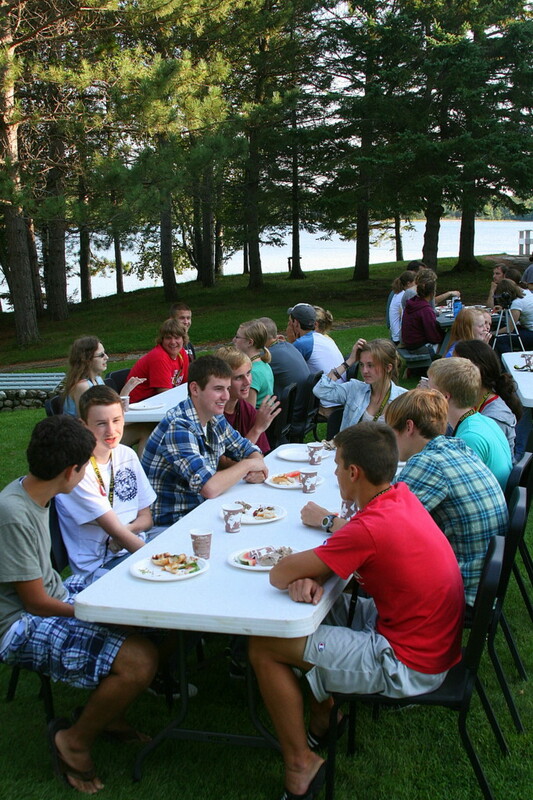 After the meal, when Head of School Stefan Anderson took students out on Black Oak Lake in a pontoon, ospreys flew by. Then, right out on the lakeshore for the boaters to see, a doe stopped to nurse her twin spotted fawns. 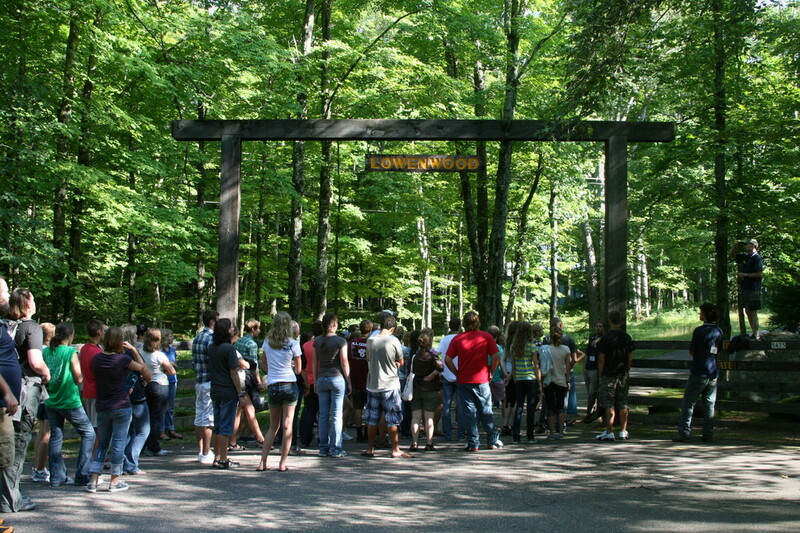 Later in the day, when students gathered for an evening ceremony at the trailhead firepit, a bright moon helped luminaries light the students’ path through the woods. Loons began to call on nearby Big Donahue Lake, owls hooted softly in the distance, and bats swooped above our heads, catching insects drawn by the firelight. 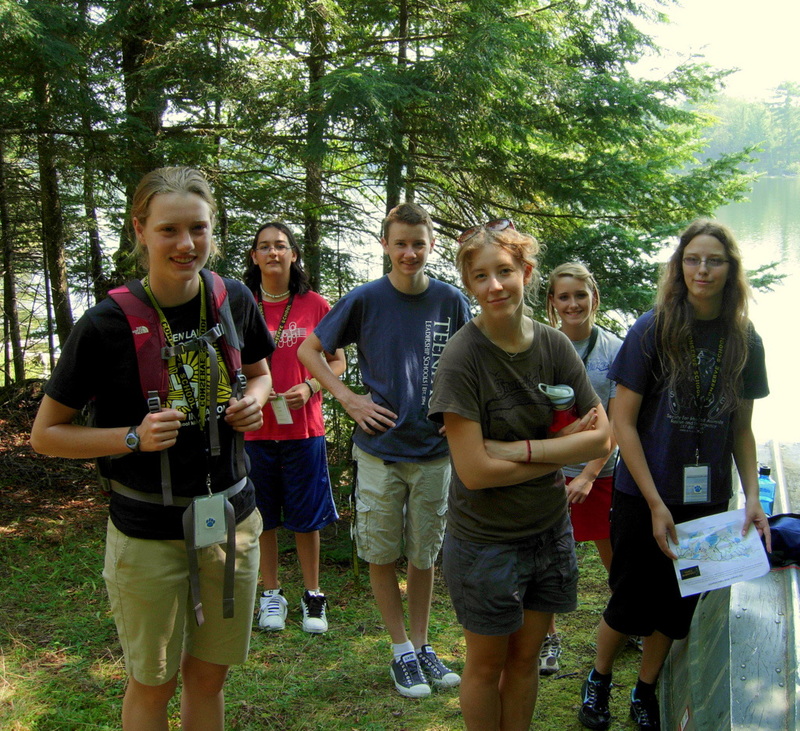 Sunday afternoon, students hiked all over the outer campus, using their maps to find lakes and other key spots around our 1200 acres and then photographing their groups at each location. I was stationed at Little Bateau Lake on the east edge of campus. Just as I heard the first student group approaching, a mink ran out of the woods a few feet in front of me and darted under the upturned jon boat I was sitting on, eventually appearing on the other side to trundle away through the woods. As I watched the departing mink disappear in the undergrowth, a deer walked quietly into the clearing, and I could hear the approaching students shushing one another and saying, “Look, a deer!” Usually skittish around people, the doe didn’t seem to be frightened by the group, but instead calmly trotted down the path just ahead of the students like an emissary. We’re delighted to have our new semester students with us finally. Their enthusiasm, their courtesy, and their interest in the activities and in one another these first few days have all been heart-warming. The following series of photographs, taken by Field Instructors Elliiot Schofield, Anita Olson, and me, show some of the weekend’s events. I’m sorry to say I can’t yet identify each of the students by name — I’ll be working on that — but I do identify staff members for you in the photos below. Enjoy! On Saturday afternoon, as parents were leaving, students and staff gathered at the bell tower at the center of campus for icebreaker activities. 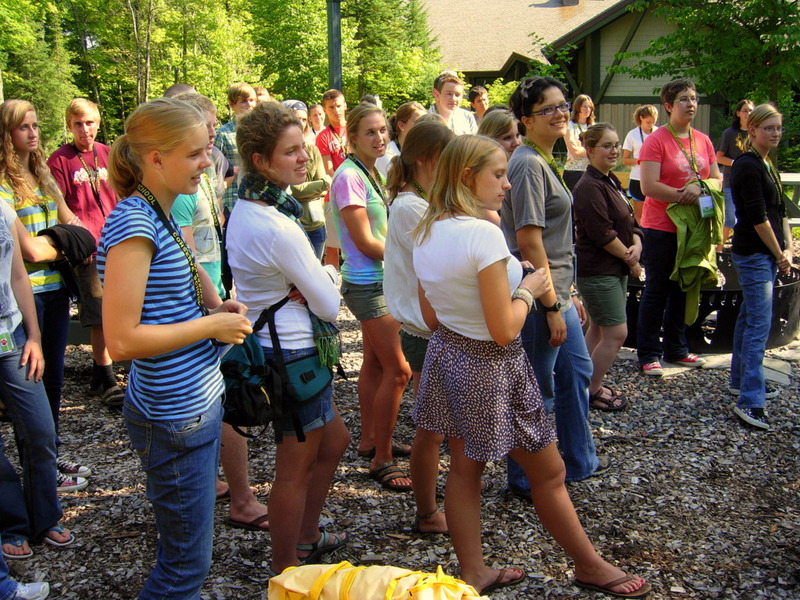 Here you can see students watching and listening attentively as the Field Instructors introduce one another and explain the activities. 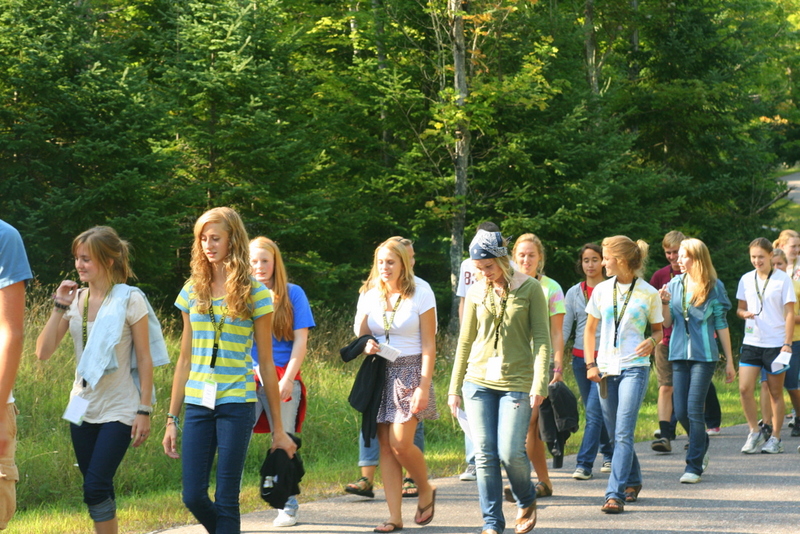 Students and staff then headed down the road to the Estate, the home of the school’s founder, James R. Lowenstine. The Estate, on Black Oak Lake, is separated from campus by Black Oak Lake Road. 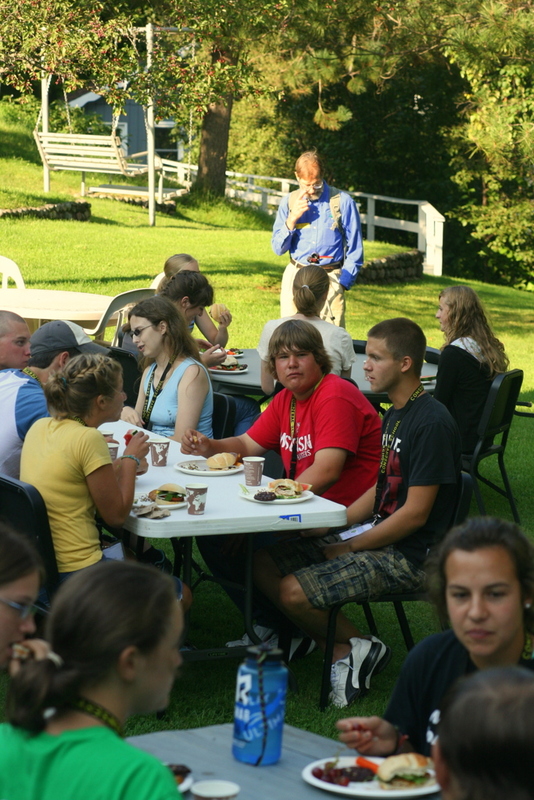 Students and staff visit for special occasions like the opening picnic. 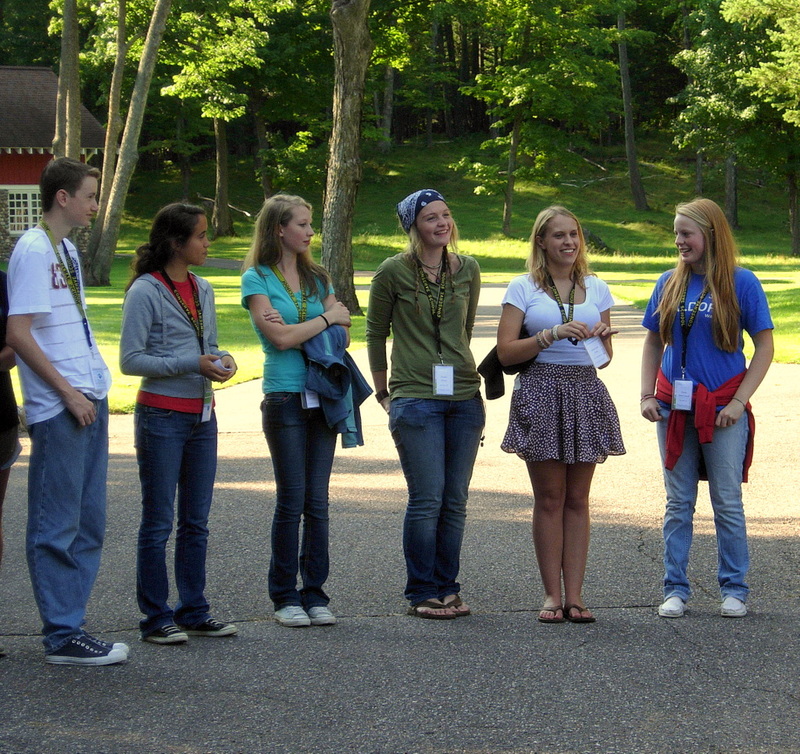 Divided into groups of three, students took part in icebreaker interviews during the walk, questioning one another and preparing to introduce another group member once they arrived at the Estate. 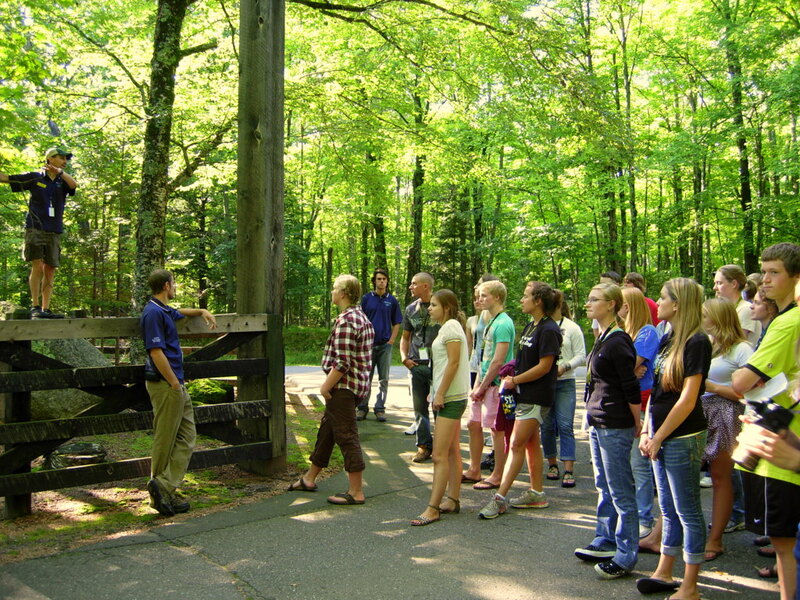 This activity made for a lively, chatty stroll in the afternoon sun and the dappled shade of the trees. 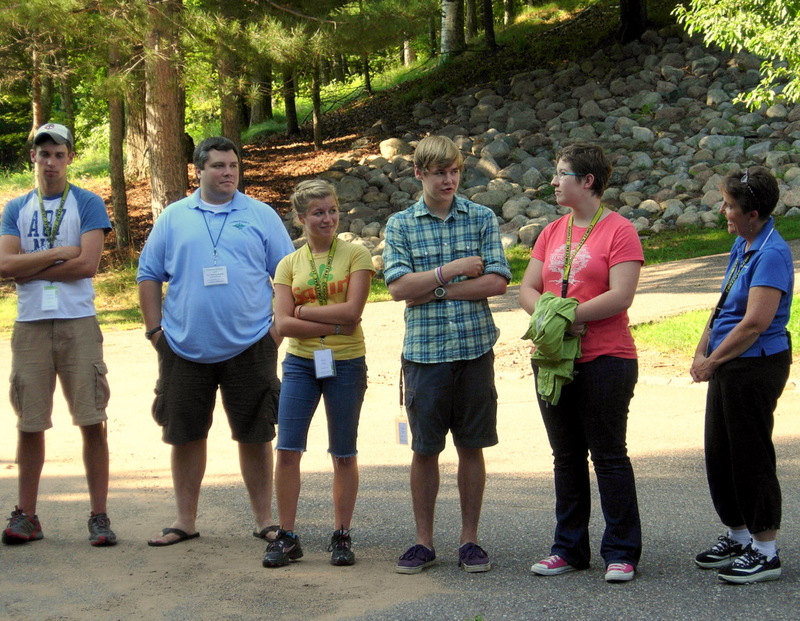 Below, you can see Phil DeLong, Director of Admissions and Residential Life, leading the group. 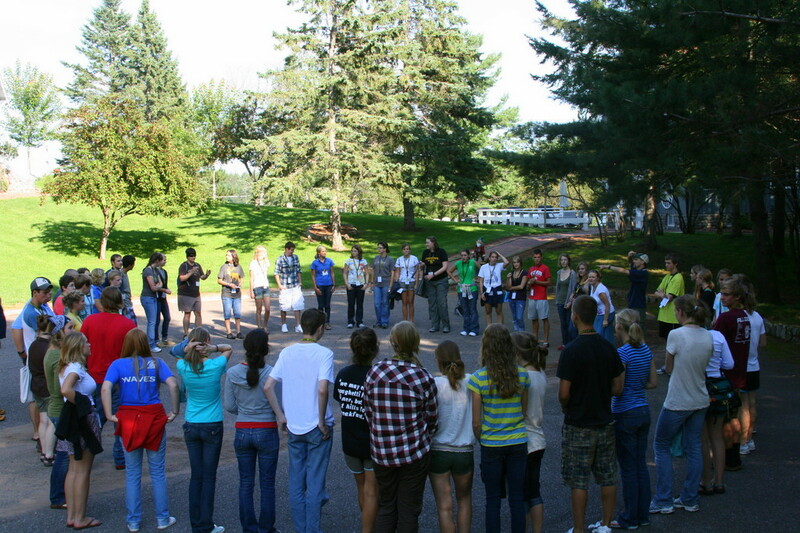 Once at the Estate, students and staff formed a circle, and introductions began. Each student introduced another, presenting to the group their partner’s name and home town along with one interesting fact about them. Then in turn the partner introduced the student they had interviewed, and so on around the circle. Usually, the speakers struggled a little to remember the details, and the interviewees had to help, correcting mispronounced names and misremembered facts — all of which got everyone giggling a little. Below, you can see the full circle along with snapshots of students as they introduced one another — with staff members sprinkled amongst the students here and there. 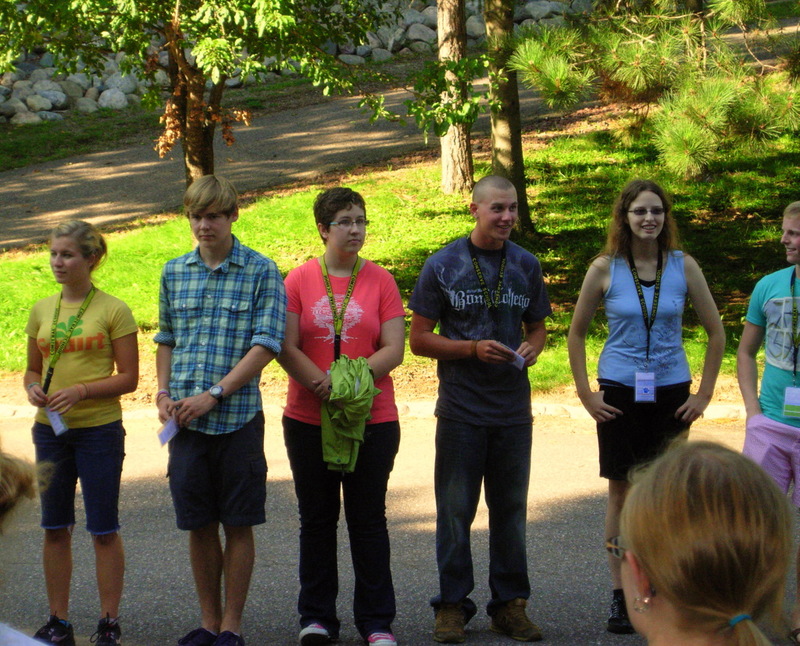 Below, third from the left, is Field Instructor Ryan Kolb. 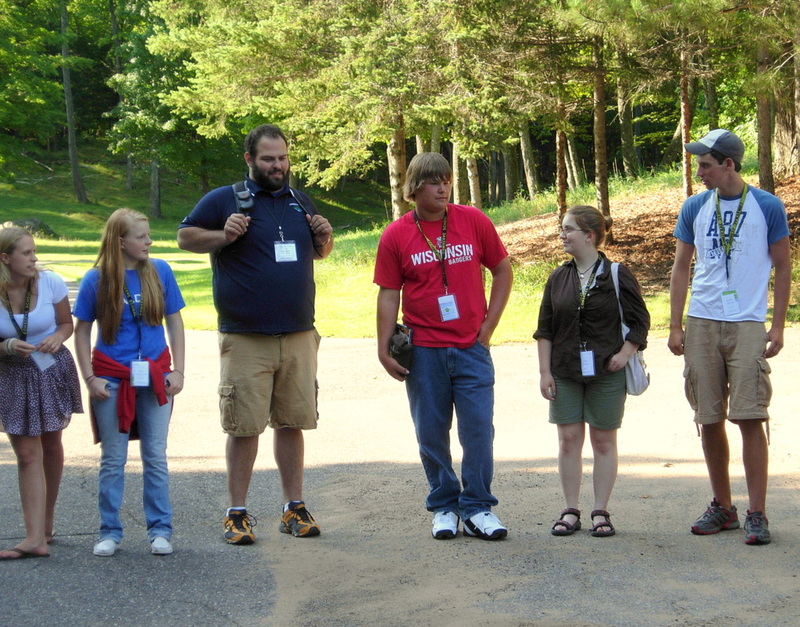 Below, second from the left, is Field Instructor T.J. Young-Burke, and at the far right is Cathy Palmer, Director of Outdoor Programs and Residential Life. Phil and Cathy split the role of Director of Residential Life, with Phil focusing on the boys and Cathy focusing on the girls. 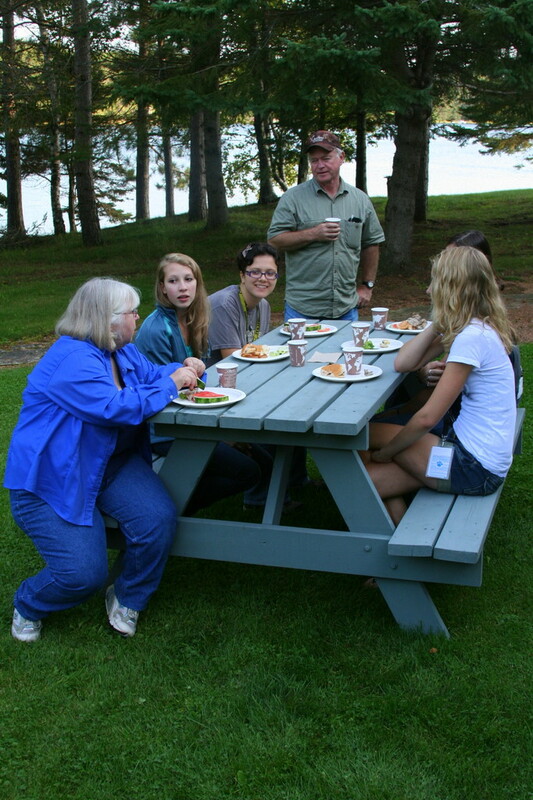 Once the food was ready, students and staff sat down for a meal on the Estate lawn, right next to Black Oak Lake. Below, on the far left, is Mathematics Teacher Kathy Jones. Roger Jones, her husband, a former DePaul Unversity Professor of Mathematics and Conserve School Mathematics Teacher who is now retired, stands next to the table. Kathy and Roger have an apartment on campus, as do all Conserve School teachers. Below, at the back of the tables, Robert Eady, Science Teacher, chats with students. After the meal, students enjoyed some fun and relaxation, including a game of frisbee. 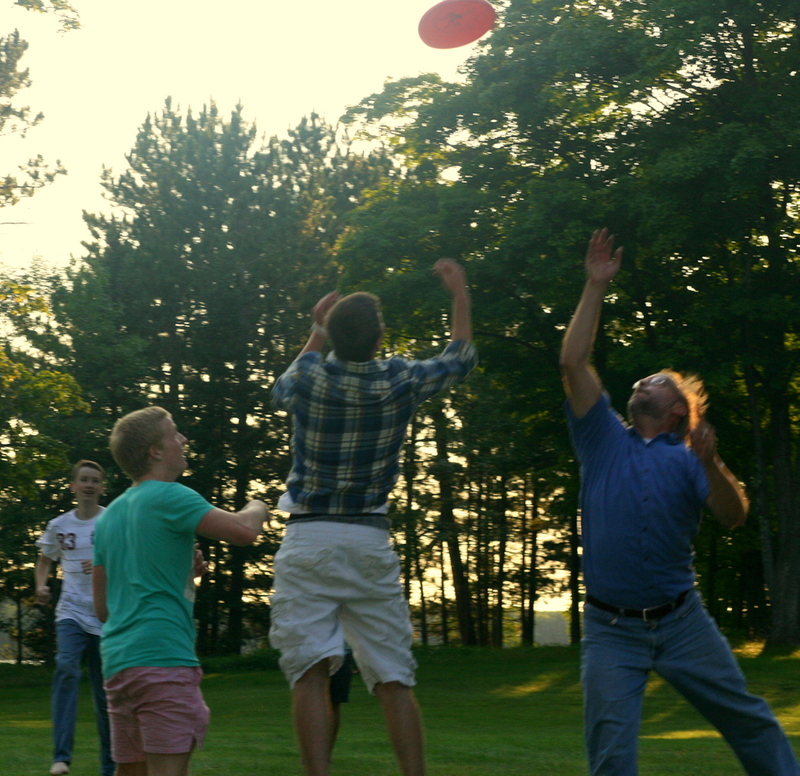 Below, that’s English Teacher Jeff Rennicke at right — I wonder who got the frisbee? 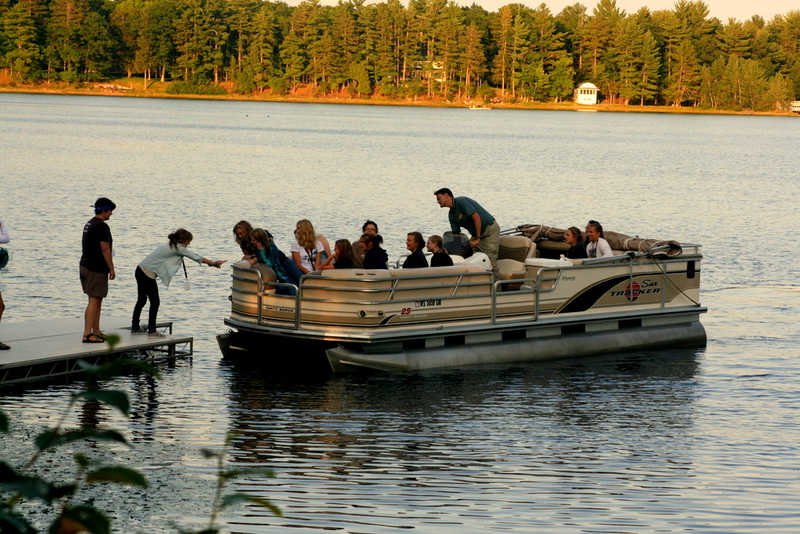 Students also enjoyed pontoon boat rides on Black Oak Lake Road, piloted by Head of School Stefan Anderson. Below you can see some shots I took Sunday afternoon at Little Bateau Lake, as student groups gradually made their way to the far eastern edge of campus. I had brought along some mosquito repellant, which many students were very glad to see. Below you can see them making good use of it. The three girls below are silhouetted in the late afternoon sun at the edge of Little Bateau. 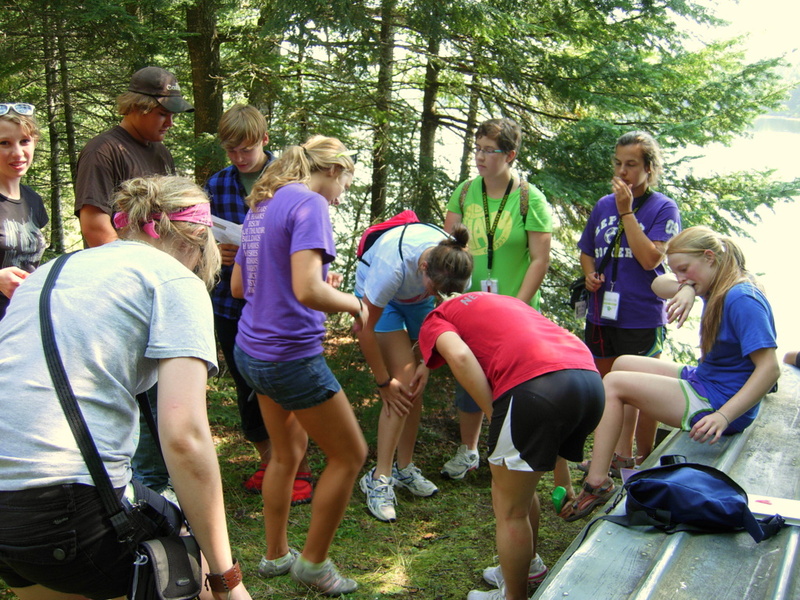 « How many staff members does it take to tag a butterfly? It is great to see this getting off the ground – keep up the good work kids, you’ve got a whole lot to soak up there! So nice to see what Sam gets to experience there (and see pics of her, too)! Love ya, Sammy!